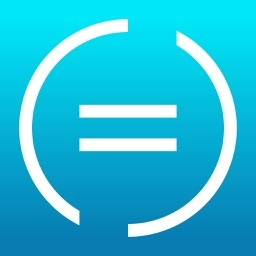 A calculator app without equal. 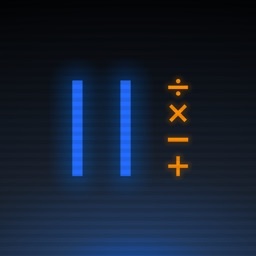 Numerical² is the calculator without equal! 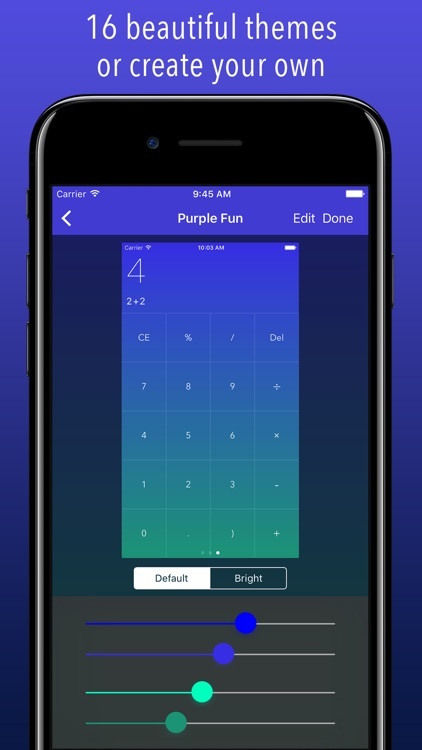 Whether you’re doing simple math, scientific equations, advanced brackets, or just like a pretty app, Numerical² is the answer! 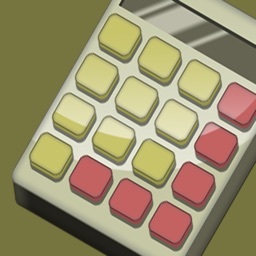 It’s for those who need a sensible and speedy calculator. If you only sparingly perform complex calculations, Apple’s native app should do just fine. 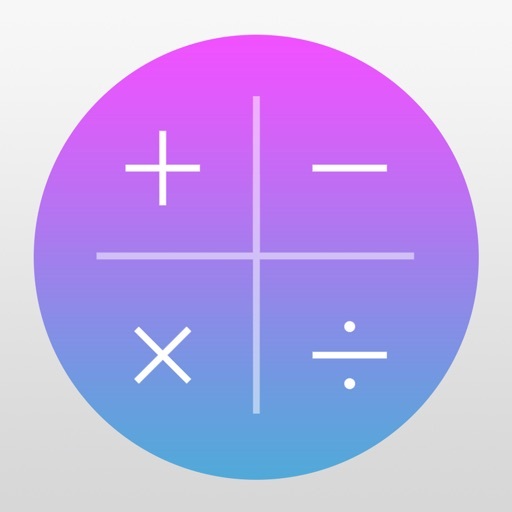 If you find Apple’s native calculator app slow and cumbersome, give Numerical a try. Its instant results, history, and sensible errors make it easy to do quick calculations. Use the NEW Today Widget and work straight from Notification Center. - No equals button! Just type a question and get your answer. - Brackets are added automatically as you type. 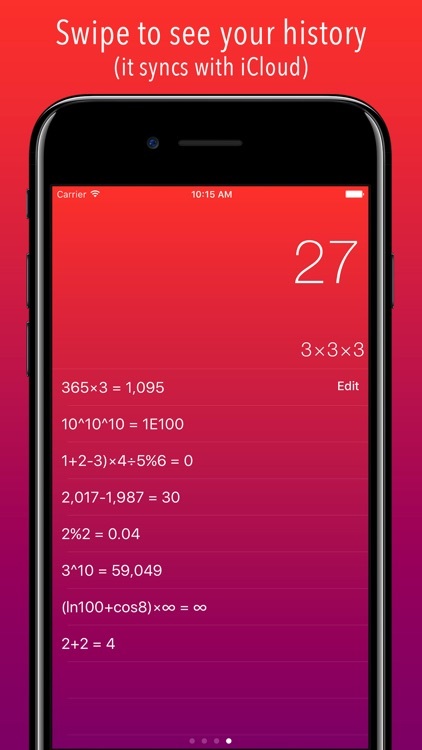 - Equations are automatically saved to the History list, which now syncs with iCloud. - Rewritten in Swift to be fast fast fast. - Full scientific keypad including sin/cos/tan, EE, ln, log, square root and more! - Use the fraction key to do coherent fractional math and your answer is presented in numeric and fractional formats. 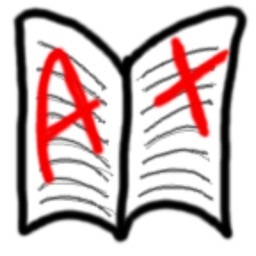 - Use Pi, E and infinity to determine the answer to any question, including impossible ones. 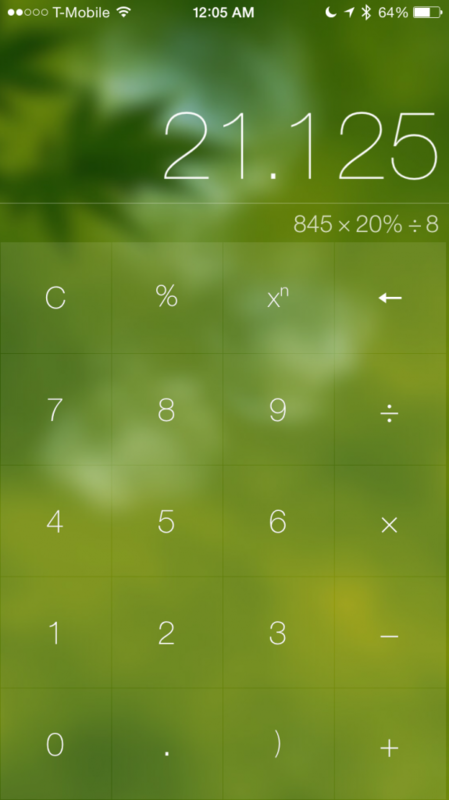 - Customise your perfect calculator by changing History position to be behind keyboard or to the side ala Numerical 1. - Landscape finally works on iPhone. - Full support for iPad Split Screen multi-tasking. 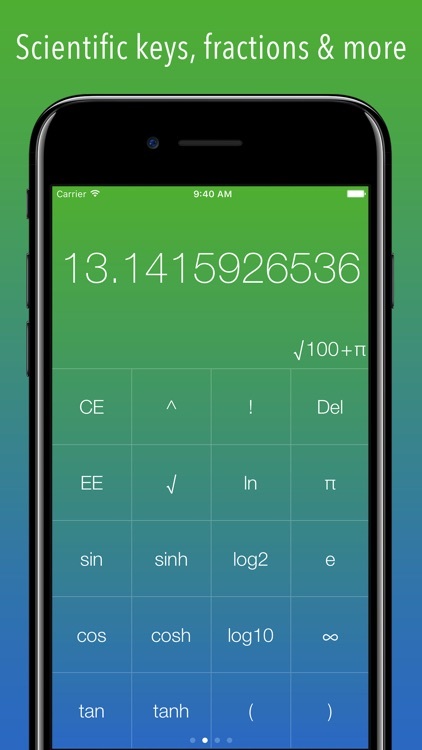 - Install the Numerical² keyboard so you can calculate a question in any app. Tap a button and the answer is inserted in the text field. - Made a mistake? Tap the current equation to enter edit mode where you can select characters, insert and delete. - Options to hide scientific keyboard, change decimal count of answer, and use radians/degrees for angle maths. 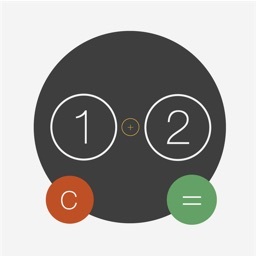 - Decimals and grouping symbols are localised. 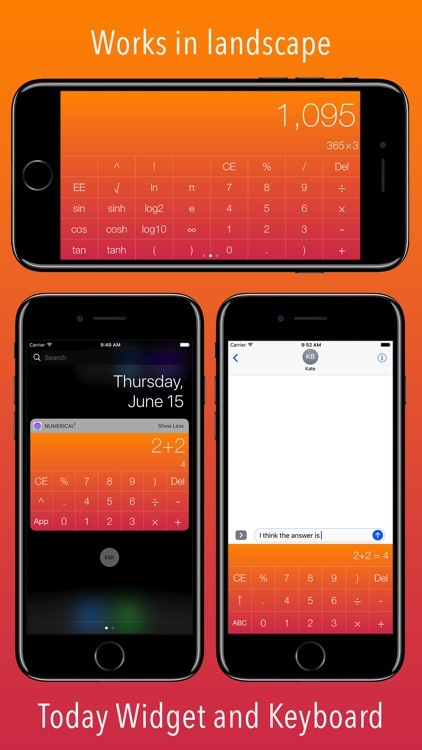 - Install the Numerical² Keyboard and calculate a question in any textfield in iOS. - Enable the Today Widget so you can work directly from Notification Center. - Tap to copy, paste or insert the answer in the currently context. - History syncs via iCloud. - Now support external bluetooth keyboards. - Apply 16 beautiful themes including new entrants Candy, Mint, Lava and a set of “bright themes”. - Use the Theme Creator to make your own bright and beautiful color scheme, and name it accordingly. - Numerical² is Free, but you can become a Numerical Supporter if you really like what we’re doing and want to send a few $ our way each month. Developed by @andrewjclark. Designed by @andrewjclark & @alexvanderzon. Today’s AGF list includes a photography app, a music creation app, and a killer pool game. 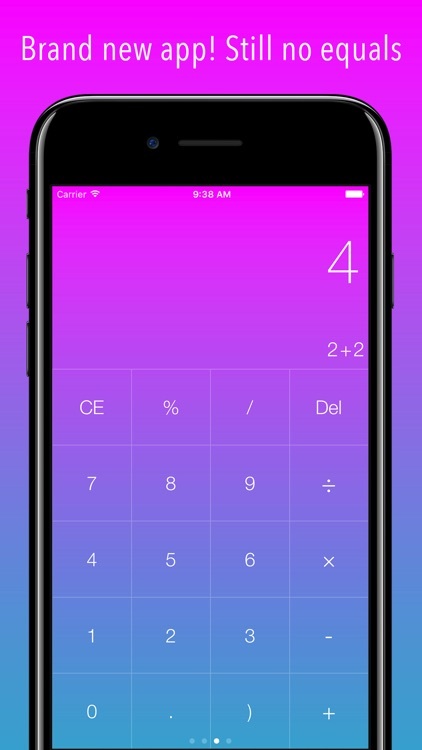 The "Calculator Without Equal" gets a huge update and is now free for everyone.